These portable makeup remover wipes cleanse your skin without drying it out- no rinsing necessary! What it is: These portable makeup remover wipes cleanse your skin without drying it out- no rinsing necessary! How you use it: Use the Makeup Remover Wipes any time you need to remove makeup on the go! Why it’s better: Using micellar technology, these cucumber scented wipes are like magnets for dirt and makeup, cleansing your skin and leaving it feeling toned and fresh! 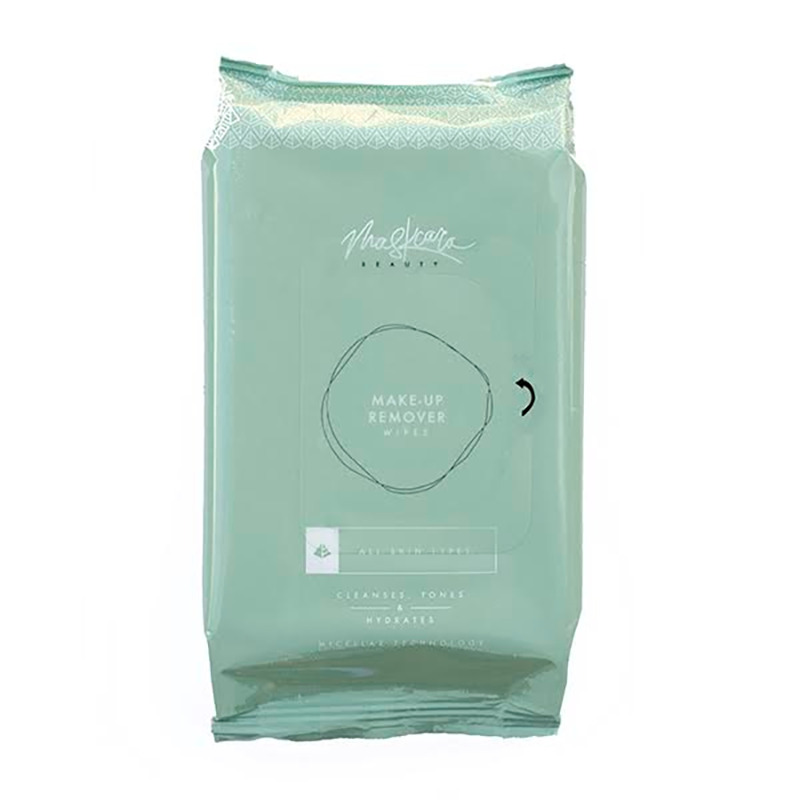 Makeup Remover Wipes are made up of gentle microscopic oil molecules called micelles suspended in soft water that attach to makeup and dirt, but instead of foaming and stripping your complexion like traditional cleansers, micelles dissolve the stuff you want to remove, without drying your skin.